Do you get stuck in Excel, Google Sheets, and Outlook? I found a blog that provides some great tips to make your work in spreadsheets more efficient and save time. Discover Excel tutorials, functions and advanced formula examples. The blog is sponsored by Ablebits, a software company that adds capabilities to spreadsheets, and they do a nice job offering free advice as a public service. Do you know what items need to be recycled? Have you ever noticed these recycling labels on products? The How2Recycle Label stands as a way to clearly communicate recycling instructions to recycling programs, unclear labeling, and inaccurate labels make proper recycling a challenge. 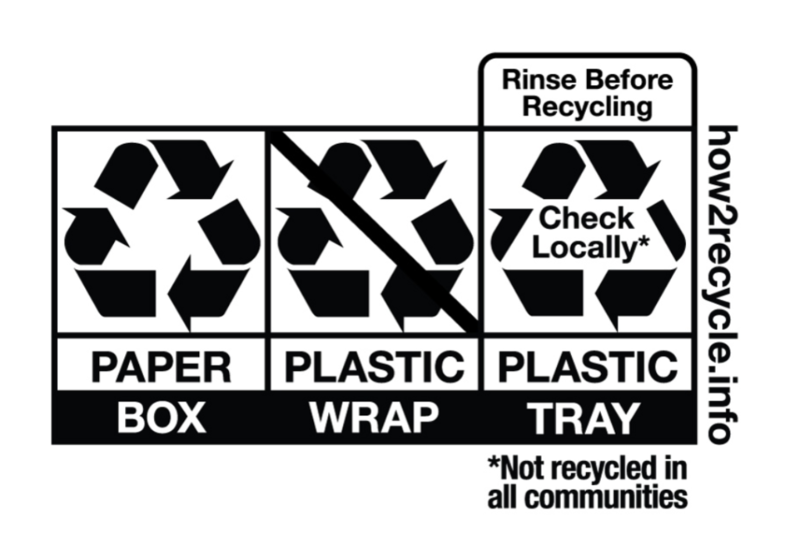 How2Recycle is a standardized labeling system that clearly communicates recycling instructions to the public. It involves a coalition of forward thinking brands who want their packaging to be recycled and are empowering consumers through smart packaging labels. These are recycling labels that make sense because they tell you what you need to do next. Find out more information with the URL below. Who’s in that TV Commercial? Have you ever wondered who are the actors or athletes in your favorite TV commercials? Search iSpot.tv and discover not only who is starring in the ads, but browse the most engaging and trending ones. Also discover the top spenders and read about the latest news in the advertising world. I stumbled upon this guide to children’s health and wellness in the digital age by Common Sense Media. It has tips for parents on how to properly use your mobile device and be a great digital role model. It has a road-map for your kids digital well-being and a whitepaper on what Google is doing to help the cause. If you are a parent or a teacher, this guide is a good start to help your kids’ digital well-being. IrfanView is an open source photo editing program that gives you the tools to touch up and add effects to your photos. You can set images as your desktop wallpaper directly from the app, and put the finishing touches on all your photos with just a few clicks. IrfanView can be used to produce good results really quickly. Plug-ins mean you can add specialist features without the whole application becoming bloated with features many people will never use. Are you trying to figure out where you want to go to graduate school? I stumbled upon this website that prompts you to answer a few quick questions and you get back a list that matches your preferences. If you already have an idea what you want to study, then you can browse through the top universities by program or location. Find your perfect course or what program suits you best! Are you looking for a way to collaborate better and be more productive? You need to to try Padlet! You probably have tried Trello or some other project management tool. However, the thing that ends up happening with these sites is they just become a list. What if you could make a virtual cork board? Padlet is an online tool that allows you to do this which makes it more visual than the rest. It allows you to move around post-its, add documents, and webpages so it’s easy to read and fun to contribute to. Have you ever wanted to know that popularity of your surname? Everyone has a name, but most people have a vague idea what their name means. This site is for those who want to discover name meanings, origins, distribution across the globe, genealogy tracking, anagrams, misspells, common name combinations and many other name-related things. If you want, you can even contribute to the site by adding more detail. Do you need a quick tool to turn a PDF into a Microsoft Word doc? I found this free tool called PDF2Doc that works surprisingly well. Are you off in the new year trying to keep your goals on track? Here are some quick tips to accomplishing them.